The octagon will return to Dallas, Texas this month for the promotions UFC 228 pay-per-view fight card. 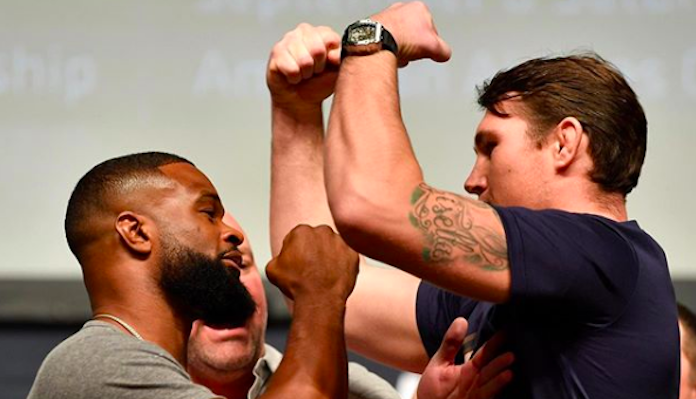 The fourteen-bout event, which takes place Saturday September 8, is headlined by a welterweight title fight featuring current champion Tyron Woodley taking on undefeated contender Darren Till. 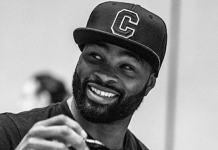 Tyron Woodley (18-3-1 MMA) will compete for the first time since UFC 214 in July of 2017 when he defeated submission specialist Demian Maia via unanimous decision. “The Chosen One” has gone 5-0-1 over his past six contests which includes a first-round knockout victory over former division title holder Robbie Lawler. Meanwhile, Darren Till (17-0-1 MMA) was last seen in action at May’s UFC Fight Night event in Liverpool where he scored a controversial decision victory over former two-time title challenger Stephen Thompson. Prior to that, Till was coming off a sensational first-round TKO victory over Donald Cerrone. 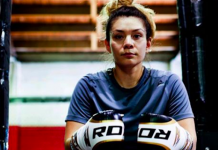 In the co-main event of UFC 228 current women’s flyweight champion Nicco Montano will put her title on the line against “The Bullet” Valentina Shevchenko. 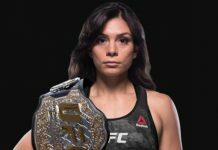 Nicco Montano (4-2 MMA) was most recently seen in action this past December where she captured the UFC’s inaugural women’s flyweight title by defeating Roxanne Modafferi via unanimous decision. 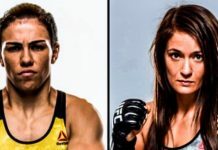 As for Valentina Shevchenko (15-3 MMA), the former women’s bantamweight title challenger is coming off an incredible second-round submission victory over Priscila Cachoeira which took place in February.